Inverters have several different wattage capacities and capabilities, and AIMS Power has a master understanding of every DC to AC inverter you can buy on our site. This category is dedicated to spreading knowledge of inverters and their unique applications so that customers make the right choice when buying a product from AIMS Power. The AIMS Power 6000 watt 24 volt low frequency inverter charger has been rethought — featuring a more compact size, mounting capabilities and a redesigned transformer — to better meet customers’ needs. 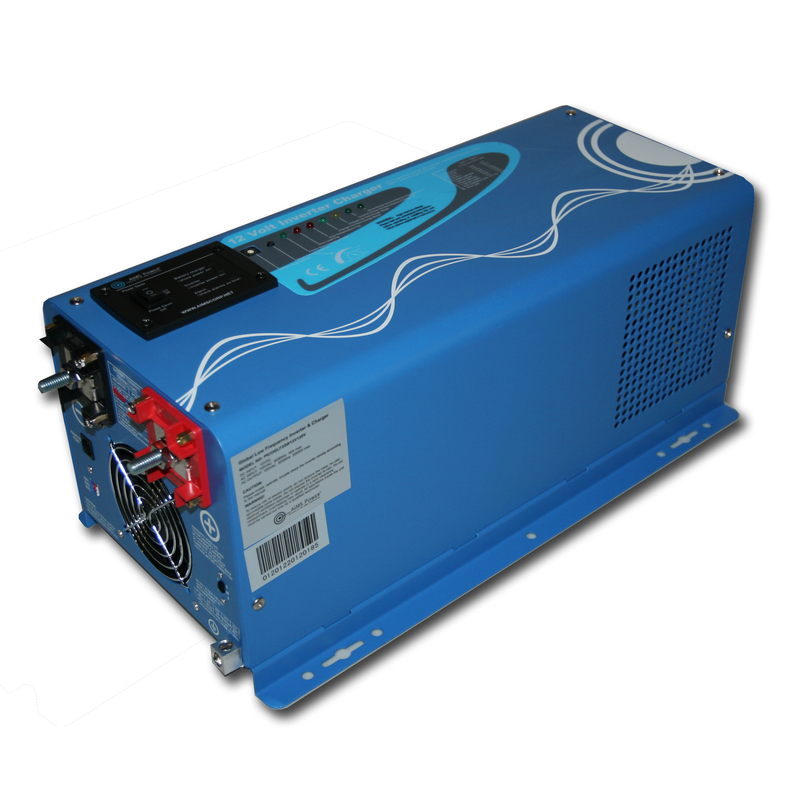 AIMS Power's new 6000 watt low frequency inverter charger features a more compact case. This unit still includes the same 300 percent surge rating that allows for usage with appliances that have a high start-up electrical surge, such as air conditioners and compressors. It also still includes the same direct connect terminal block, which allows for and easily-accessible and clean connection. This unit is still AIMS Power’s top-of-the-line inverter, and it’s still compatible with every electrical system on Earth, making it the best option on the market for clean off-grid, mobile and/or emergency backup electricity. The new unit is model # PICOGLF60W24V240VS. AIMS Power launches global interactive inverter guide to understanding electrical systems & benefits of having renewable off-grid, mobile & emergency backup power. 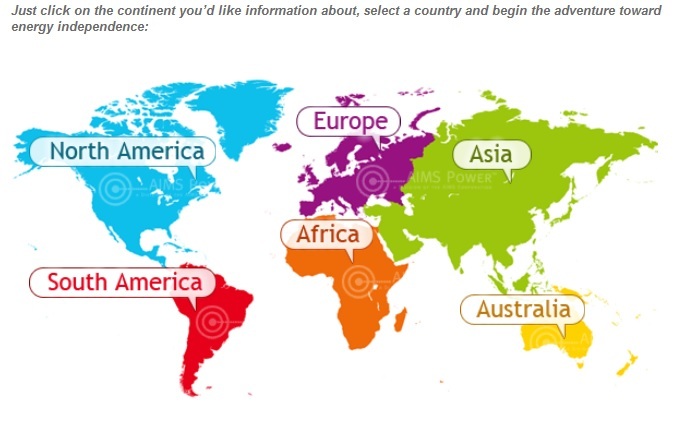 There’s an AIMS Power inverter for every corner of the map, and a new interactive guide at aimscorp.net shows which will work in every country worldwide. Electrical requirements are unique whether living in India, Thailand, Egypt, Bolivia or Jamaica, and the appropriate specifications need to be met if planning on building any renewable, off-grid, mobile or emergency backup power systems. The largest line of AIMS Power inverters operate at 110 or 120 volts alternating current (Vac) 60 hertz (Hz), catering mostly to the Unites States and Canada. However, they have many that operate at 220, 230 or 240Vac 50Hz or 60Hz and at 110Vac 50Hz. The Freedom Kegerator, mobile beer on-tap. The Freedom Kegerator, running on an AIMS Power inverter charger, brings mobile beer dispensing to the masses, providing more beer in more places this summer. It took a 2000 watt AIMS Power inverter charger, a couple deep-cycle batteries, an idea, and nearly five years of preparation to make the Freedom Kegerator a reality. 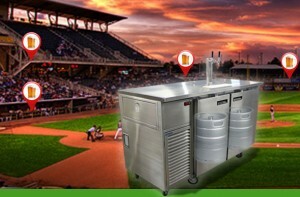 But since its debut this year, the mobile beer dispensing system has become a million dollar product bringing fresh pints to parched patrons across the globe. You might see the Freedom Kegerator at a Dallas Cowboys game in the $1.2 billion AT&T Stadium, at a Lakers game in the Staples Center, at amusement parks like Six Flags or even art and music festivals like Burning Man. “It increases profit margin, because it turns a traffic area into a revenue stream,” inventor of the Freedom Kegerator Mark Johnson said. “Customers coming into a football game, for instance, can get a beer with their program, then once that traffic area slows down, you can cart that unit right to a new location and set up. The backbone of the system Johnson uses to achieve 10 hours of mobile beer-tapping power is a DC to AC inverter, which transforms direct current power from a battery bank into alternating current electricity that’s used to chill and pour your beer. He says choosing the right inverter was one of the most important stages of developing the product. The 2000 watt pure sine AIMS Power inverter charger is a great tool for truckers. Driving for days on end requires a strong will and extraordinary preparation skills. AIMS Power inverters can help with the latter. The road can be a lonely, draining place. Help yourself out or help a friend out by giving the gift of mobile electricity with an AIMS Power inverter. Experienced big-rig drivers know that bringing along some of the comforts of home is a great way to battle the boredom of a long haul. This is where an AIMS Power inverter comes in handy. A popular unit for truckers is our 2000 watt low frequency inverter charger, which has two convenient ground fault circuit interrupter AC outlets so you can plug whatever you want in. This inverter takes 12 volts DC so it can hook right up to most any truck’s standard battery system. Plus, the unit also comes in a 24 volt model. So in the rare case that your truck uses a 24 volt battery system, we’ve still got you covered. AIMS power inverters play pivotal role in Walt Disney’s Main Street Electrical and Fantasmic! parades. Powering a parade float — especially with a gazillion lights on it — is no easy task, but AIMS Power inverter systems can provide the mobile electricity needed for even the most high-profile events. The world-renowned Walt Disney Main Street Electrical Parade started in 1972 and still attracts a crowd, featuring close to half an hour of non-stop sparkling spectacles that gallivant down the streets of Disney World. Powering this parade that has more than half a million lights is quite the feat, but seeing thousands of LEDs sparkle in children’s eyes makes everything worth it. AIMS Power inverters proudly support these efforts to go above and beyond what is seemingly possible within the realm of mobile power in order to make the lives of children magical. Parade floats are an inverter application we haven’t forgotten here at AIMS Power. Give us a call today at 775-359-6703 if you need help powering your parade! No float is too big or too small for us to help you design your power system! Inverters by AIMS Power convert direct current electricity (DC), as conducted from batteries or solar panels, into alternating current electricity (AC), used to power everything from coffee pots to lights, electronics and much more. 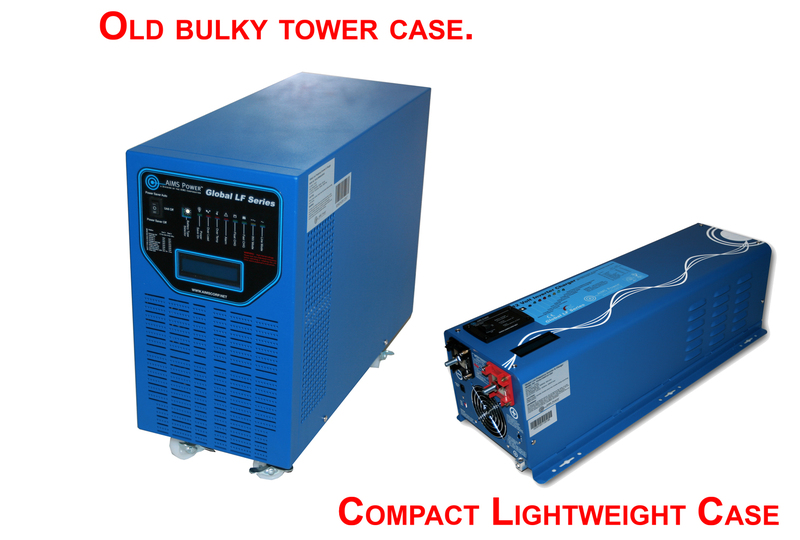 Inverters are the backbone of any mobile and/or environmentally-friendly power system. Prime example: an inverter can convert energy generated by solar panels on the roof of an RV into power usable for taking a warm shower in the middle of the woods. Inverter applications are endless! @phillybusterft @ExideB @loebelectric Thank you for your business!